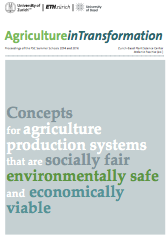 PSC has summarized the diverse field of sustainable transformation of agriculture with contribution of Philipp Aerni, Gurbir Bhullar, Allan Buckwell, Markus Frank, Marcel van der Heijden, Hans Herren, John Ingram, François Meienberg, Michael Meissle, Melanie Paschke, Martin Schmid, Franziska Stössel, Raphael Wittmer, Gunda Züllich et al. 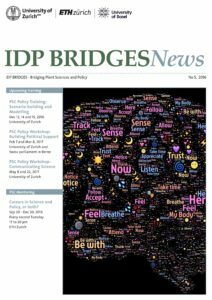 The sixth issue of the IDP BRIDGES newsletter documents – and in some ways celebrates – the research work of 13 PhD students at the interfaces of science and policy as well as science and innovation. We reflect on how the Innovative Doctoral Program program IDP BRIDGES contributes to the training of junior natural scientists. Newsletter No 5 presents the take home messages from the PSC Summer School 2016 on “Agriculture in Transformation”, a summary of the plenary discussion on Innovation vs. Regulation (EUCARPIA General Congress 2016) and Secondment reports of two IDP BRIDGES fellows. 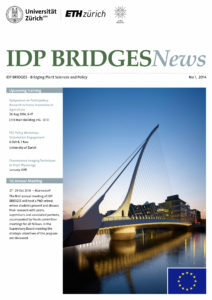 This newsletter highlights IDP BRIDGES outreach activities. 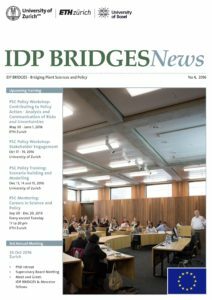 For example, the public panel discussion on “Plant Sciences, Patents, and Food Security” which was moderated by three IDP BRIDGES fellows. A summary of this event as well as a personal address by panelist Prof. em. Chris Leaver, Oxford University will be presented. Newsletter No 3 focuses on “wicked problems” introduced by an editorial of Prof. Chrissie Rey, University of the Witwatersrand and addressed by five summarized case study of the PSC Summer School 2015 “Tackling wicked problems”. 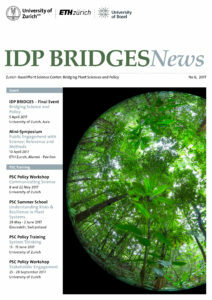 Secondment reports of three IDP BRIDGES fellows as well as outreach highlights are included. 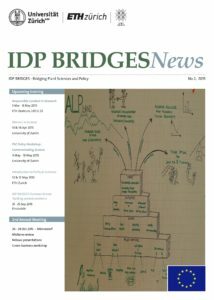 Followed by an editorial on “The challenges of communication” written by Dr. Eduardo Pérez, ETH Zurich, Institute of Agricultural Science, Newsletter No 2 presents further eight portraits of the IDP BRIDGES fellows. Upcoming training, mentoring and events are outlined. 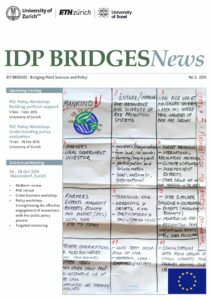 After visiting the fellows in their labs and fields, the newly implemented newsletter IDP BRIDGES News presents portraits of the IDP BRIDGES fellows in their working environments. Read the first six portraits in this issue. Upcoming training, mentoring and events are outlined.